As the debut of Attack On Titans Season 3 has been shows in great year with Studio WIT that met with crucial and commercial issues that flips up entire Season.The success of the Attack On Titans has undoubted major roles in WIT Studio profit for the year that reported huge increase profit for the Year. According to the company behind the WIT Studio of production I.G, Recently released its performance result in fiscal year that company reported combined sale of 8.426 billion Yen with the net profit of 201 million Yen which handover the company increase 11% and 29% decreases from the previous year overall. In Second Context, the studio reported that sale of 1.49 billion Yen with the 31 million Yen that increase with 60 percent from the last year that definitely will be good news for the fan. Whereas, WIT Studio has not only produced Attack On Titans with recent anime like The Ancient Magus bride, Kabenri of the Iron Fortress with the major adaption animation but Attack On Titans season Third is too much strong with the future anime of their own sky limits for WIT Studio. 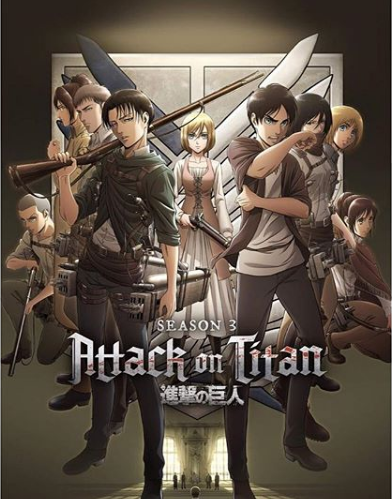 Attack on Titan was originally created by Hajime Isayama for Kodansha's Bessatsu Shonen Magazine in 2009 with series has since been collected into 23 volumes as of 2017, and it's set in a world last remains of humanity live within a walled city in order to escape the danger of the Titans, a race of giants monsters that eats humans. The main character, Eren Yeager, ends up joining the military with his two childhood friends Mikasa and Armin after the Titans break through the wall and attack his hometown.